The 46,451 in attendance roared in appreciation as Ichiro jogged in from right field for the final time as a player. 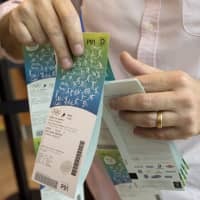 He waved a few more times on the way in, touching the brim of his hat in a show of thanks to the Seattle Mariners’ opponents, the Oakland A’s, who were applauding with everyone else. He left the field to an emotional show of appreciation from the fans and players, with the game stopping for several minutes. 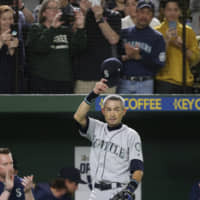 Mariners second baseman Dee Gordon had a few tears rolling down his face and pitcher Yusei Kikuchi left some on Ichiro’s shoulder as he embraced one of his childhood heroes. Hall of Famer Ken Griffey Jr. enveloped Ichiro in a big hug in the dugout when it was all done. The scene stopped the game for several minutes. 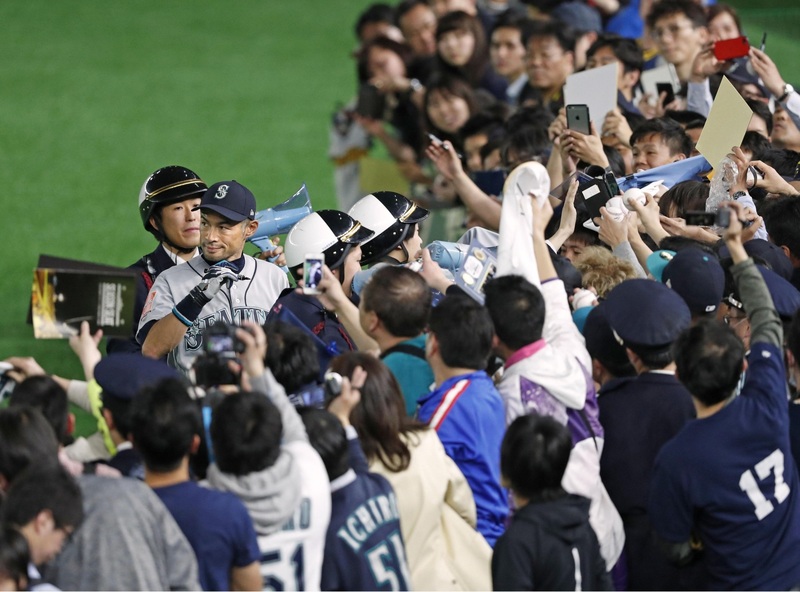 There were even more cheers from the fans when Ichiro returned to the field after the game. It was so loud in the Big Egg that Kikuchi reacted to the sound during his postgame news conference. He was a 10-time All-Star and 10-time Gold Glove winner in MLB, also winning a pair of batting titles. 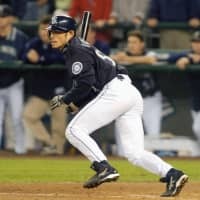 Despite spending the first nine years of his career in Japan, Ichiro still managed to join MLB’s 3,000-hit club, finishing with 3,089 in the majors. As the U.S. awoke to the news, the tributes came rolling in. 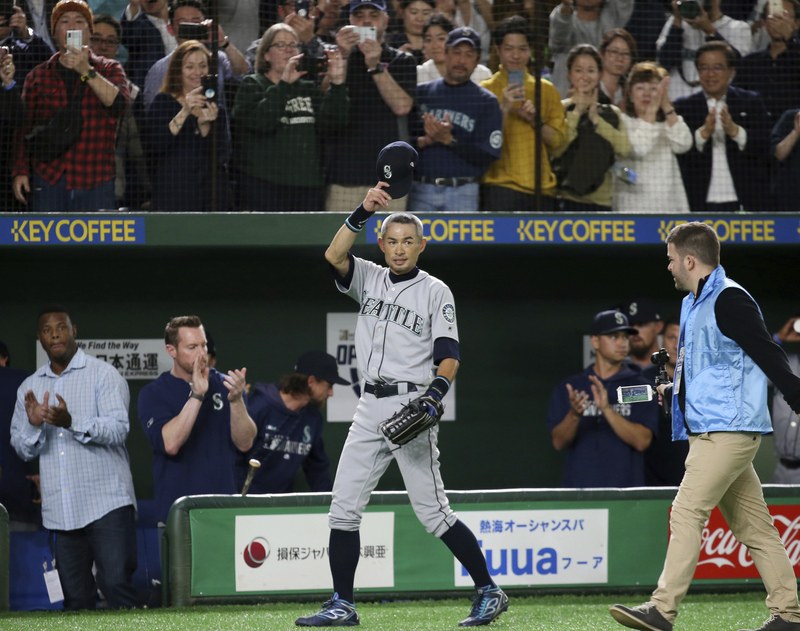 “Today we celebrate the remarkable career of Ichiro Suzuki, one of our game’s greatest players,” MLB commissioner Rob Manfred said in a statement. 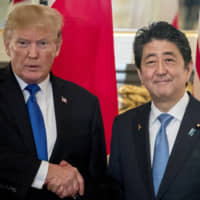 “Since entering Major League Baseball in 2001 and winning both the American League Rookie of the Year and MVP Awards, Ichiro established himself as a player unlike any other. 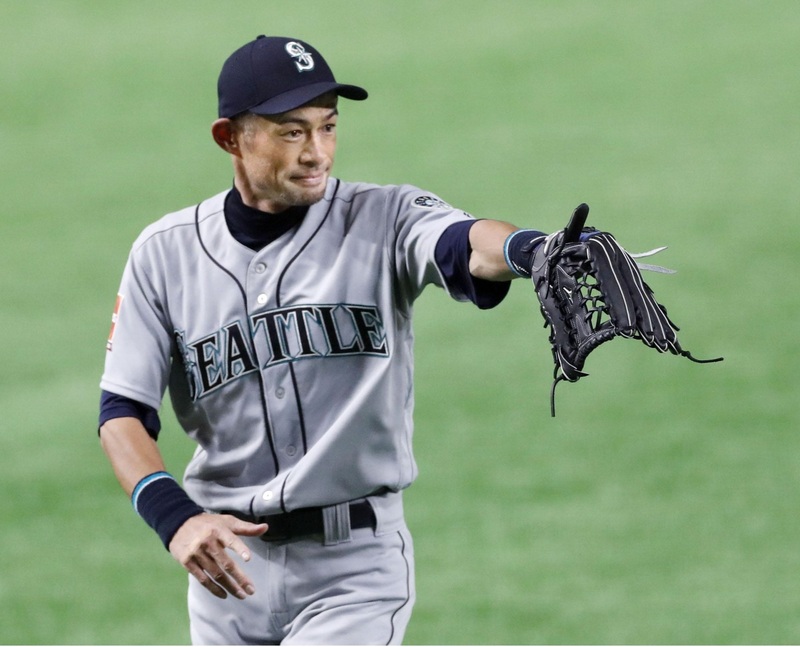 He will always be remembered for his incredible talent in all aspects of the game, his historic seasons playing for the Seattle Mariners and for being part of the championship‐winning Samurai Japan in the first two editions of the World Baseball Classic. New York Yankees general manager Brian Cashman also had nothing but praise. He was in a jovial mood after the game. If there was any sadness, he didn’t let it show as he cracked the occasional joke or laughed at something he’d said. “I’d dreamed of becoming a professional player since I was a child and I made it happen,” he said. “The first couple of years when I was 18, 19 years old, I was kind of in and out of the ichi-gun (first team). “Playing in those circumstances, I actually had a lot of fun. Then in 1994, when (Akira) Ogi became the manager, he made me a regular player. Until that point I think I was able to say I had fun playing baseball. 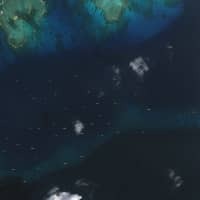 After that, the expectations began to get higher and it was tough for me. It’s really tough for anyone to be evaluated at a level higher than you actually are. 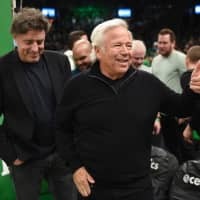 The 45-year-old also revealed that as he looked back over his career, it was the work he put in during practice last year that brought forth a sense of pride. 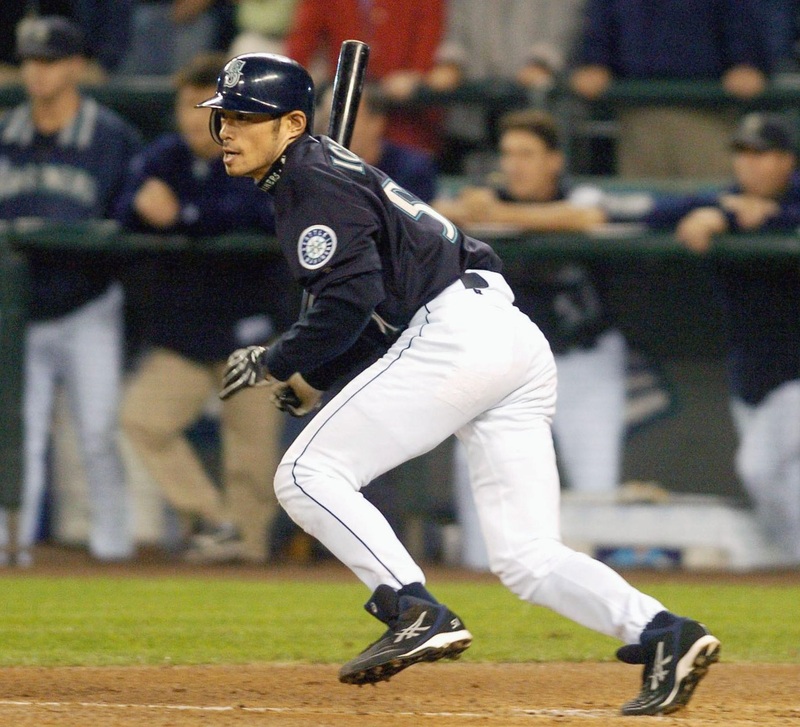 Ichiro was an iconic player. His at-bat routine of stretches and the way he held out the bat, fist facing the pitcher, before settling into his batting stance became almost the stuff of legend. 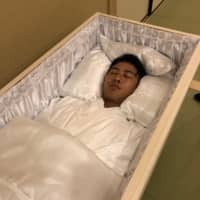 He was the first Japanese non-pitcher in MLB. The first overall, pitcher Masanori Murakami, was present on Thursday. The way he could expertly control a bat and leg out infield singles was unique even among the best players in the world. His fabulous first season was only the precursor. He set the MLB single-season hits record with 262 in 2004, breaking George Sisler’s mark of 257, which had stood for 84 years. He also compiled 10 straight seasons with at least 200 hits, another MLB record. 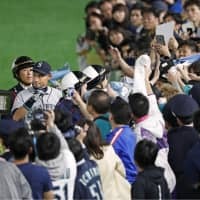 Ichiro also left fans in awe with his talents in the outfield, where he chased down balls and jumped into the air to take away homers at the wall. For all his talents at the plate, one his most iconic highlights was the laser beam he threw from right field to nail the Athletics’ Terrence Long at third in his first season. 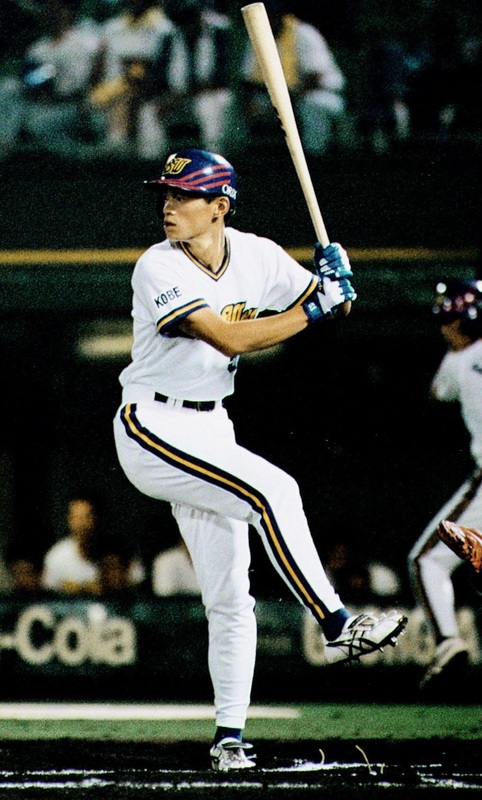 While there had been Japanese players before him, it was Ichiro’s success in the U.S. that really opened the floodgates for players to move from Japan to the majors. 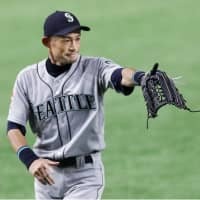 “Ichiro was a trailblazer when he arrived in 2001 and ushered in a new era for international players with his impact, and he demonstrated daily the skill, passion and preparation that only the truly great have over his playing career,” Mariners Chairman John Stanton said in a statement. Asked if he’d thought about retirement prior to this year, Ichiro said he was too busy trying to remain in the game.